Trust Creative Irrigation for your sprinkler repair and maintenance needs. Service programs include winterization, spring start-up and mid-season adjustments to properly maintain your irrigation system. Creative Irrigation offers three service programs to properly maintain your irrigation system. Our programs range from one to three visits per year. We will send a professional technician to purge any water from the sprinkler components and pipes to prevent freezing and perform a proper shut down of your system. Learn more about our winterization service here. We will send a professional technician to correctly turn your system on and check for any damage that may have been caused by ground freezing and thawing. Creative Irrigation will adjust your heads for proper coverage and flow and program the irrigation controller for the new watering season. Learn more about our spring start-up service here. 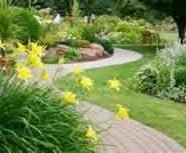 We are aware that no two systems are alike, which is why our Mid Season Adjustment program will be specifically suited to your lawn and landscape needs.